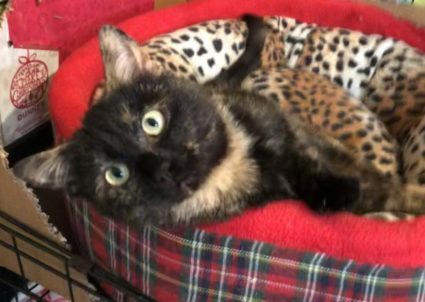 This beautiful girl is Aoife and she is super friendly, loves people and really enjoys being petted and would love a safe loving home as she has been living outdoors as there are so many kittens in her family and she is unwanted. We are working on that! We have just spayed her as she is 5 months old and next week we will start her vaccinations. If you can give her a forever home you will be rewarded with so many hugs and kisses from her. She is not keen on other cats too much because of her situation but is well used to dogs and children.